Mid-Range Discs are designed to provide accuracy and control for a wide variety of shots. These versatile discs are effective in many situations, from drives and mid-range shots, to approaches and even putting. 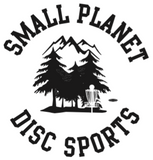 We offer an assortment of Mid-Range Discs to match the needs of a wide range of players using a variety of throwing techniques.